Rachael Leal is a dental nurse at 2th Dental Practice who has achieved her NVQ/VRQ level 3 after months of hard work, attending an evening class at South leicestershire College, completing coursework and then taking a finals exam. She is now a fully qualified dental nurse and is ready to take on new challenges in the future. Edward Moncrief, Market Harborough dentist, moves into the media age. 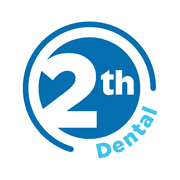 Edward Moncrief and his staff at 2TH Dental Practice will be bringing you news from the dental world, staff news, dental innovations and sharing quirky dental stories that we read by regularly blogging through our web site, so please check regularly for new dental stories.